Chanting a Mantra | Sana Ako si Ricky Lee! Chant – A – Mantra (1): A Reintroduction to the Wonderful Benefit of Chanting A Mantra! Today, I would like to start a new series about chanting mantras. I felt this is an important topic / series to write because a lot of my readers are hooked with getting amulets. 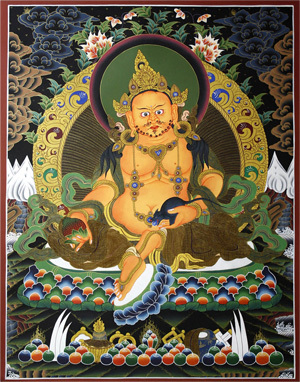 I know that the Vajrapani Ruel enjoys a certain amount of popularity amongst my readers and it has garnered a lot of o personal testimonies attesting to its miraculous power and effectiveness. However, the sad truth is that the Vajrapani Ruel is quite pricey for a lot of people, and more than that it is also relatively quite limited in the sense that it is not forever that we can have it. Not to mention the difficulty in making it and smuggling it out of Tibet, which is under the Mainland Chinese (China) rule that doesn’t allow it to be made or be brought out. 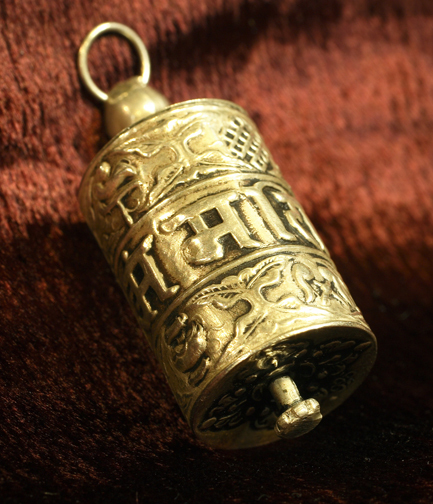 So if you have the Vajrapani Ruel, consider yourself to be very lucky. But as I said, sometimes we are very caught up to having the Vajrapani Ruel that if can’t have it we sort of go into some sort of despair. That shouldn’t be the attitude because the truth is the Buddha Himself has given us enough tools to assist us in our daily life. We have the sutras and at the same times we have the mantras. It was several years back since I first introduced the power of mantras to my readers, and I will not write about it again. If you are a new reader and is not familiar with the power of mantras, I suggest you revisit my old post about it entitled – MANTRA: THE INSTURMENT TO TAP THE POWER OF SYMBOLIC SOUND, SCRIPT, AND THOUGHT – to know more about it. But what I would like to reiterate today is that chanting mantras, again like reciting the sutras, should be done comfortably loud. That is because of the same reasons that I have discussed in RECITE A SUTRA 6: WHY DO WE HAVE TO LOUDLY RECITE SUTRAS? However, more that the reason discussed in the preceding post, reciting it loudly also helps us get attuned with the Buddha or Bodhisattva whose mantra we are chanting. Whenever we chant a mantra, it is like an offering to the Buddha or Bodhisattva whose mantra we are chanting, but at the same time it is also like a call for help and establishing a link or a ‘relationship’ with them. In chanting a mantra, it is best to be use a mala so that you can keep track of the number of times you’ve chanted a mantra. Chanting a mantra can make wonders, and this blog has been testament to what are the powers of chanting a mantra can do. But now that I’m actively writing about it again, I hope to show you more of these wonderful miracles that simply chanting a mantra can do. 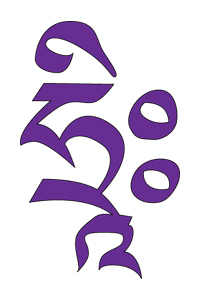 A lot of people are concern about properly pronouncing the mantra. I always say that they shouldn’t sweat it that much. Right pronunciation is important but it will come to you sooner or later, what is more important is the sincere heart in chanting the mantras. I suggest that you read the post entitled – A HERMIT AND A MONK: A LESSON IN RECITING YOUR MANTRA! – as to what Lama Zopa Rinpoche has to say about pronunciation of the mantras. Family luck and/or relationship luck. Miracles will happen more frequently. I also decided to write this series because the previous mantras that I have shared before are anchored on the Buddha or Bodhisattva, which is really the proper way to present a mantra. However, having a predominantly Christian reader, I felt this approach is not very effective in making you understand it. So I will present the mantras on a per need basis. And whenever possible I will still present stories, real personal testimonies of either readers or friends or families who have used the mantra. I will also present combination mantras for more effective and swifter results. One last thing, simply chanting a mantra will have an effect, but remember, chanting it under deep meditative state give you the ultimate effectiveness. I am a believer of the power of amulets; needless to say my favorites are the very powerful Vajrapani Ruel(1) and Surangama Mantra Amulet(1). The numerous personal testimonies found on this blog is testament as to how powerful wearing amulets are, especially the Vajrapani Ruel(2) which has showered a lot of people who has requested it with tremendous wealth luck, money luck, and financial luck. 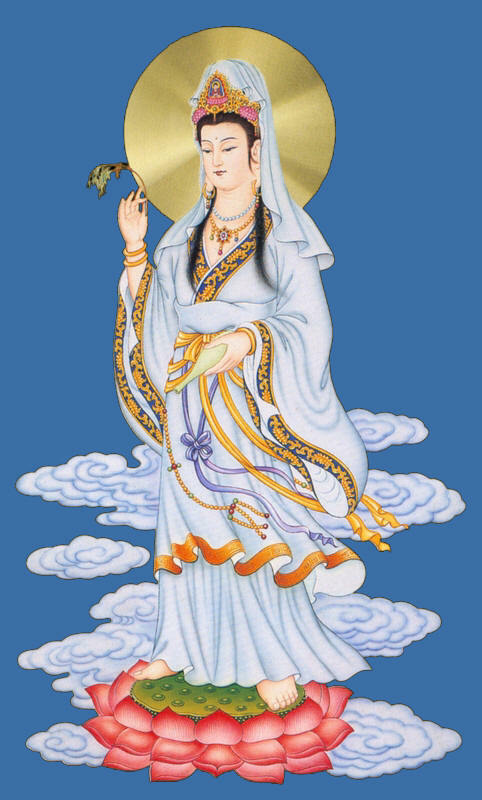 Wearing an amulet is like carrying an extension of a Buddha or Bodhisattva’s energies. However, the sad truth is not everyone will be able to avail of a powerful amulet. But of course, there are other ways of tapping into the power or energy of a Buddha or Bodhisattva. In the past, I have written a lot about the importance and benefits of chanting a mantra, and a lot of you (my readers) has emailed me or texted me or personally shared with me the testimonials of how chanting a mantra has helped in your personal life or even in your career. 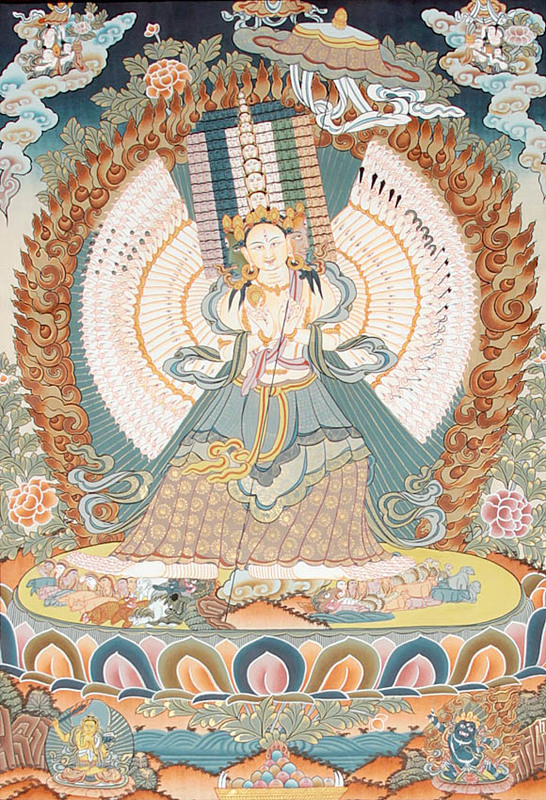 Chanting a mantra, for me, is one of the most powerful ways to connect and tap into the energies of the Buddhas or Bodhisattvas. Some people might say it is not as effective as having to wear an amulet like the Surangama Mantra Amulet(2) or Vajrapani Ruel(3). Well, there is truth to this, but I believe in some ways, chanting a mantra may be even more effective if we are able to chant it under deep meditation. How deep? To the level that you are no longer conscious of you’re surrounding. If we are to chant in that level of deepness, I would say it is even more effective than wearing an amulet. But whether we are able to chant it deeply or not, it is bound to have some effect, and we will definitely feel its power. However, today I would also like to add and discuss the importance of reciting a sutra. A sutra or sutras are Buddhist teachings, usually ones that has been personally taught by Shakyamuni Buddha when He still have a physical body. Although, there are some sutras that was taught by different patriarchs. 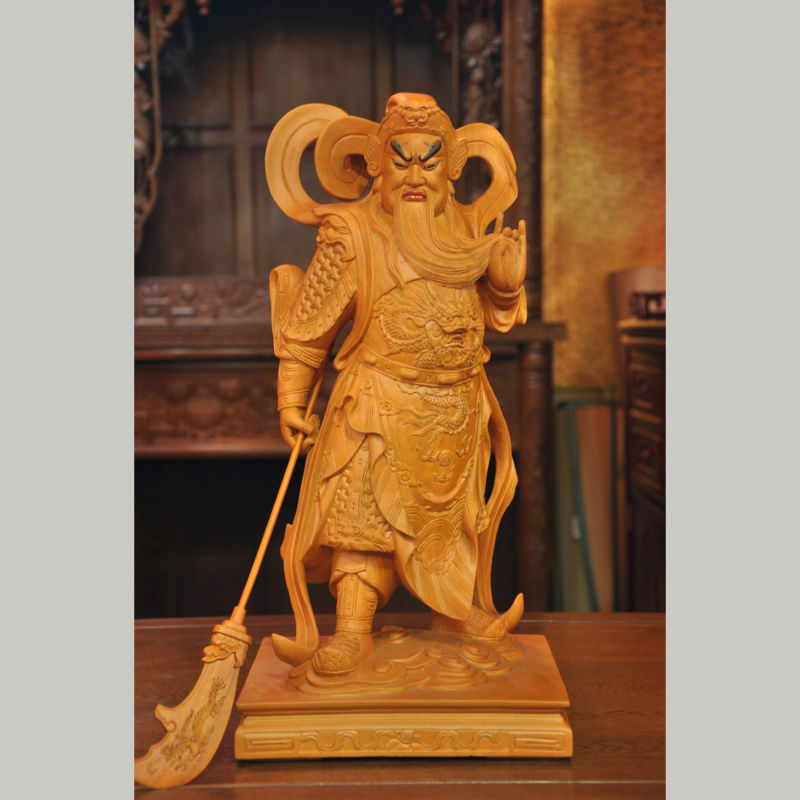 One of the most famous one is the 6th Patriarch Hui Neng. His sutra is called THE PLATFORM SUTRA OF THE SIXTH PATRIARCH. On my future posts I will discuss more about the sutra of the patriarchs. But for now let us focus on the sutra of the Buddha Shakyamuni. I have mentioned before that mantras are powerful words lefts to us by the Buddha himself for us to chant to evoke some power. These mantras are usually found within a sutra. 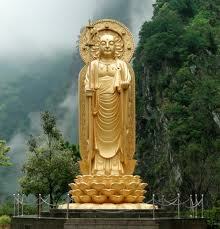 And as mentioned a sutra is a teaching taught by Shakyamuni (also spelled as Sakyamuni) Buddha. In effect, even when it has undergone a translation, it is still considered the very words of the Buddha. Basically, a sutra is a teaching of the Buddha, and while the Christians and Muslims has the Bible and Koran (respectively), which is a compilation of different ‘books’, in Buddhism the sutras are not compiled. But there are a lot of different sutras. As I said, a sutra is the Buddha’s teaching, within them are found the different mantras. But more than that, simply reciting (reading it loudly) carries a lot of blessings with it. As to what type of blessings it carries depends on the sutra being read, and these blessings are usually mentioned within the sutra itself. So reading a sutra doesn’t only bring about knowledge about Buddhism, but it also brings about blessings and this is another form to tap into the power or energies of the Buddha or Bodhisattvas. You should treat it like a holy object only because it is a holy object. Don’t put it on the floor or a chair. If you placed it inside a bad, make sure you don’t put the bad on the floor or chair. Do not bring it inside restrooms, unless if its worn as an amulet. Do not sit on it. Do not lie on it. Do not put things on top of it. In keeping it, make sure you placed it on a high clean place. In keeping it, as much as possible put it on a vertical position and not horizontal. If horizontal (again) please make sure you don’t put anything on top of it unless it’s the same sutra. Take care of it like it’s the most precious book that it is. In my next posts, I will share with you some of the sutra that I regularly read. Some of them I have written about in the past but it is worth writing about them again. But for now, remember that while the Vajrapani Ruel(4) or the Surangama Mantra Amulet(3) are powerful amulets, there are other ways of tapping into the energy of the Buddha or a Bodhisattva.